Share the message of the Gospel with your family, friends, neighbors, and co-workers in your own home using these 5 video lessons available in both VHS and DVD, English and Spanish. These lessons take students on a journey through the Word of God and provide take-home booklets that allow for easy review and consideration of each lesson. This is a great tool to help us reach the lost and make disciples. Glad Tidings Publishing button provided below. Get Started Now! 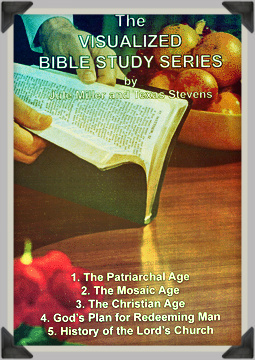 If you would like to set up a time to study using the Visualized Bible Study, please CONTACT US.